Please utilize the install instructions found here for the Spike 2 Speaker light kits. Using aftermarket speakers in your SPIKE 2 System game will work fine with the Speaker Light Kits. However, if they are aftermarket speakers that have spacer rings attached to the front of them, it will add some work to the process of installing them. If a Speaker Light Kit is being used in a game, the spacer ring is not needed, as the Speaker Light Kit light frame will then be used as the spacer that the speaker needs for its extended tweeter. If SPIKE aftermarket speakers are bought directly from the Flipper Fidelity website, they have an option to buy them without the spacer rings by selecting "I have Speaker Lights" when ordering. Keep in mind this space limitation and need to remove the spacer ring only effects Stern SPIKE and SPIKE 2 System games. Earlier Stern SAM (and Whitstar) System games have room to accommodate both the light kit frames and the aftermarket speakers with the attached spacer rings. For tips on removing the spacer rings please see the "Aftermarket speakers in SPIKE System games" .pdf in the MANUALS SECTION. Also note: Doing the spacer ring removal is done at your own risk. Neither I, nor the speaker manufacturer are responsible for any damage that may be caused by attempting to do so. Along with making sure your speakers do not have the attached spacer rings on the front of them, you may also have to cut off the bars that run inside the speaker holes of the factory speaker plates. This will need to be done for any replacement speakers you are using that have tweeters that extend beyond the speaker's mounting points. The bars need to be removed so the speakers can mount flush on the speaker plates and the holes need to be open so the extended tweeters can go through the speaker plate's holes. You may also choose to buy a set of replacement speaker plates for SPIKE 2 Speaker Light Kit use (sold separately, COMING SOON). 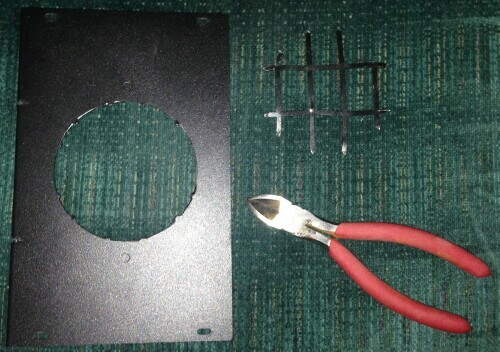 These replacement speaker plates will already have the bars removed from the speaker holes. The speakers will then be mounted to the replacement plates and the original factory speaker plates won't need to be modified or used at all.